step1:Boot off the Windows disk and select the “Repair your computer” option from the lower left-hand corner. step2 Follow through until you get to the option to open the Command Prompt, which you’ll want to select. 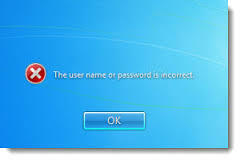 Resetting the PasswordOnce you get to the login screen, hit the Shift key 5 times, and you’ll see an administrator mode command prompt.